There are many factors to consider when you are making decisions and shopping for a new home. You are likely wondering what your house budget should be for the price of the home you purchase. The way that you come up with that budget figure, is by combing many factors that relate to your income, savings, and the area you want to move into. These are some things to keep in mind in the St. George real estate market. The first thing to seriously consider when calculating your house budget is your annual income. In other words, this is the combined annual income for you and your co-borrower. Include all income before taxes, including base salary, commissions, bonuses, overtime, tips, rental income, investment income, alimony, child support, and any other sources of income. Next, you must review what you can afford for the down payment. This is the amount of money you will put towards a down payment on the house. Make sure you still have cash left over after the down payment to cover unexpected repairs or financial emergencies. Don’t completely wipe out your savings on your down payment, as other expenses related to owning your new home. Things will happen. Talk with your real estate agent or lender in St. George to understand all of your debt and how it affects your cash flow every month. Your house budget should take into consideration all of you and your coborrowers monthly debts, including minimum monthly required credit card payments, car payments, student loans, alimony/child support payments, any house payments other than the new mortgage you are seeking (like rent), rental property maintenance, and other personal loans with payments. Keep in mind you don’t need to include: credit card balances you pay off in full each month, existing house payments (rent or mortgage) that will become obsolete as a result of the new mortgage you are seeking, or the new mortgage you are seeking. Keep in mind the interest rate on the mortgage you are seeking. This is the interest rate for the loan you will receive. That will be incorporated for your payments for the next 30-years or so, so it is best to have a good understanding of the rate you are paying. The payment you make each month will also factor in property taxes. The value you pay represents an annual tax on homeowners’ property and the tax amount is based on the home’s value. One vital thought to consider is the cost of homeowner’s insurance. That will be a necessary cost as you own your home. Commonly known as hazard insurance, most lenders require insurance to provide damage protection for your home and personal property from a variety of events, including fire, lightning, burglary, vandalism, storms, explosions, and more. All homeowner’s insurance policies contain personal liability coverage, which protects against lawsuits involving injuries that occur on and off your property. In addition, mortgage insurance is required primarily for borrowers with a down payment of less than 20% of the home’s purchase price. It protects lenders against some or most of the losses that can occur when a borrower defaults on a mortgage loan. Also known as PMI (Private Mortgage Insurance). 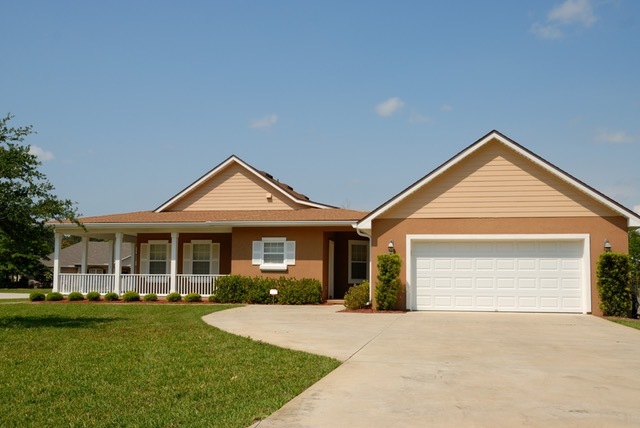 A specific expense that can sometimes catch new homeowners by surprise is the HOA fees. Typically, owners of condos or townhomes are required to pay homeowners association dues (known as HOA fees), to cover common amenities or services within the property such as garbage collection, landscaping, snow removal, pool maintenance, and other community amenities. Your loan duration is the final thing to check carefully before agreeing to your mortgage. Loan duration is the length of time you choose to pay off your loan (e.g., 30 years, 20 years, 15 years, etc.) Other factors will come into play when you’re trying to get a home loan, such as debt to income ratio, so it is important to understand your own financial situation. Make sure you know exactly what your house budget is so you don’t get into something that, in reality, you cannot afford.